A trip and fall at a business or residential property in Mercer County, New Jersey can have long lasting ramifications. New Jersey law places a duty on property owners, managers, landlords and others to take all reasonable precautions to make their properties safe for guests and customers. This includes placing warning signs out for hazards that cannot be immediately fixed or cleaned up. If you or a loved one have sustained bodily injury or wrongful death because of a property owner’s reckless or careless ways, call me, Joseph Monaco, Mercer County Premises Liability Lawyer. I have decades of experience to offer my clients to help them through these difficult cases. I will move quickly to investigate your or your loved one’s case before evidence is lost or destroyed. I will deal directly with the insurance companies so you do not have to worry that they are trying to trick you. Plus, I will work tirelessly to make sure you receive justice including monetary damages for lost wages, medical bills and pain and suffering. Premises liability cases include slip and falls and are often fought vigorously by insurance companies or big corporations like Walmart or Home Depot. You may rest assured if you hire me that we will fight toe to toe with anyone that stands in the way of you or your loved one receiving the highest settlement or award the law allows for injury victims in Mercer County, New Jersey. It is the insurance company’s goal to pay you as little as possible to increase its profits. It is my goal to make sure that does not happen to my clients. Mercer County New Jersey construction site accidents are common in the work place. Across the country thousands of workers are needlessly injured or killed each year. 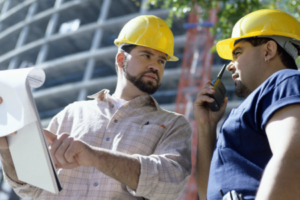 Property owners, general contractors, sub-contractors and other construction companies or engineers are responsible keeping each work site safe including implementing safety programs for workers. There are numerous governmental regulations including OSHA that pertain to construction activities. Because the location of the accident is under construction, evidence of your accident be lost almost instantly. Therefore, it is important that you hire me as your Mercer County Construction Accident Lawyer immediately. I will carefully answer your and your loved one’s questions about liability for your bodily injuries or a family member’s wrongful death. I will hire experts including engineers to inspect the site and outline what code violations led to the construction accident. Responsibility may rest with many people or companies. Do not think that you or your family member may only be entitled to workers’ compensation benefits. The reckless or negligent conduct of others could lead to civil liability including the responsibility to pay money damages. Seek immediate help if you are injured in Mercer County, New Jersey. Call 911 to contact the proper authorities then call to hire me as your Mercer County Premises Liability. Call or text me at 609-277-3166 for a Free Consultation and the No Recovery, No Fee Guarantee. Mercer Courthouse experience for cases throughout Mercer County including areas such as Trenton, Ewing Township and Hamilton Township.